He grew up being an active yet shy kid, always playing around and started watching Martial Arts series & movies influenced by his father, Jackie Cheung, who practices Kung Fu and body fitness. After a Wushu performance from the Fei Wushu family his father contacted the Sifu and later on they started the first Kung Fu class in Utrecht. He was just 7 years old when his father took him to Wushu class together with his younger sister and other family members. 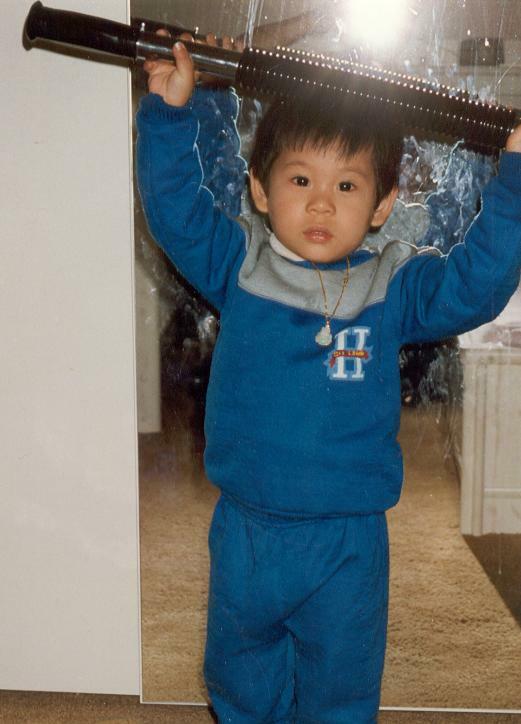 At the age of 7, he started basic physical training in Shaolin Wushu. 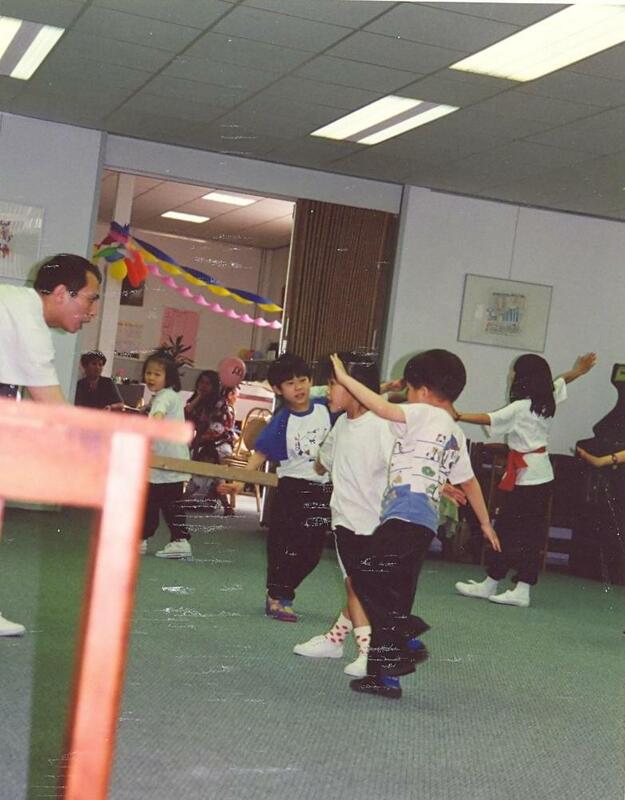 Every Saturday morning he went to the Chinese school in Holland and after the lunch he had Kung Fu lessons. 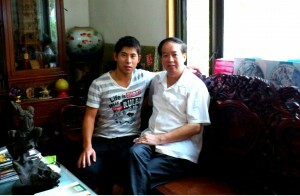 It is there where he built up his basic skills, learned the Chinese language and culture. He benefited from the traditional Chinese education philosophies, which is influenced by the great teachers of Confucianism, Taoism and Buddhism. His Western education started in a public school in his neighborhood. When he was in level 5 of his primary school, because of the school bullies and school fights his parents send him to a Christian school which was recommended by his auntie. A clearly new environment with different culture to adapt to. When he turned 8 he started private piano lessons by Chen Hui and studied classical piano music. Although it was not his own idea to learn playing piano, it kept him practicing it for more than 10 years and eventually he starts liking it. He remembers his teacher took him once to a live performance of International Masterpianist Yundi Li and that influenced him a lot. 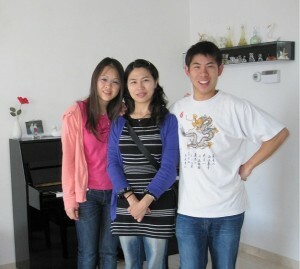 His teacher met Yundi backstage, who is a senior fellow student of hers. Alex got inspired by his amazing skills and widened its horizon. This motivated him a lot to practice in classical masterpieces and understanding more of the emotional expression through piano. Alex is a person with various sides, he is also a very fanatic person as he likes to play badminton and basketball for hours. In his younger years he played street basketball and he also played badminton during college. He plays these sports very well and was known as a very sporty classmate. On performing, he had to face hundreds of people in Wushu competition and also at the Chinese school. He still remembers his duel with his younger cousin. It was not only Martial Arts performances, but he also participated piano performances which were organized by his piano teacher. But the first performance which truly pleased him, was a full house of estimated 500 spectators at the college. The applause stole his heart and made him believe in performing art, and took him away to a new world. Along with his mate Milan Fortuin he had a surprising performance for their musical examination at college. It was then he really started to enjoy performing. Alex likes to sing, he use to sing for the college music lessons and at the Chinese school. In this way he built up his experience step by step, gradually his character turned to an outgoing and joyful person. As a Chinese boy he was soon different from others. He’s been known for a funny person, social open minded and likes to joke around. He is a true person. Sooner or later he will get your attention. In his college years he was asked by Waihon Woe and Tjunming Wong to join their new Chinese basketball team ‘Forreal’. He played every Friday evening for a couple of years. There he gets to know a lot of Chinese friends. He started as Shooting guard and after 2 years when his skills improved, he became a Point guard. On the court, it is his quickness, flexibility and especially his team spirit which characterize him. He is a good team player and motivated others. 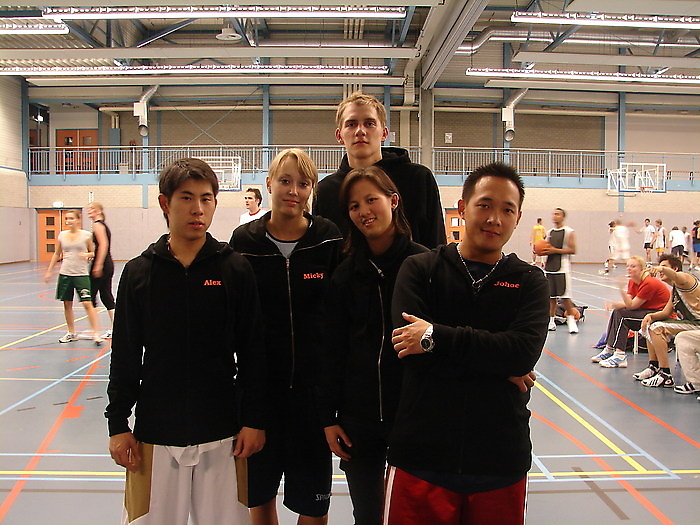 After a while they entered the ASN Basketball tournament in Amsterdam. It was a big lost, and frustrating for the team. After some internal conflicts, the team started to train serious, and with a coach, Bolin. Unluckily, Alex got injured during a friendly match against the Mouki team. It took 3 months to recover from his twisted ankle. The year after, they entered the ASN Basketball Tournament again. It was not a success, the team was broken and some players even quit playing basketball. As a basketball player, Alex was inspired by Legendary NBA players Michael Jordan, Allen Iverson and Kobe Bryant. Alex did not give up playing basketball. He seek for more basketball and took over the managing. In the summer of 2007, he started his own basketball team named ‘Hidden Dragons‘ at the United Student Basketball Federation Olympos Center. It was a new beginning. In 2008 he joined the USBF Management. As a member of the board and Events Coördinator, he was responsible for organizing events and activities. They started at the lowest level, and within 2 years they climbed up to the top level where they won the cup. They’ve reached their best time. Over time Alex has seen lots of accidents during basketball competitions. He was convinced that basketball is a dangerous sport and will hurt his body if he kept playing it so intensively. It would not stimulate his Kung Fu because of different muscle development. He decided to let go basketball and remembered the great times he had on court. So he gradually plays less basketball and do more Kung Fu. Meanwhile, Alex searched for more knowledge and began to master various martial arts styles. His passion for Martial Arts increases day by day. And so he dives into his Martial pathway to seek for more. He gets in touch with great Chinese Kung Fu masters including; private master of Bak Mei, master Chen’s Wudang kung Fu, Tai Chi Quan and he is learning the art of Wingchun kung fu from the disciples of grandmaster Ip Man. He is the student of master Wan Kam Leung. According to these great Masters; Alex is a fast learner, he is smart, talented and his body is well-balanced to become a great Martial Artist. It would be pitiful if he did not practice Martial Arts with his potential. In the summer of 2008 Jacky Ye introduced Zhang Ran to Alex. He was a housemate of Jacky Ye and looking for a training partner during his stay in Holland. A few days later he called up Alex and they meet each other at the McDonald. After a bite they talked about Martial Arts. He is a Wudang style practitioner. Later on, they went to a playground and both demonstrated their Kungfu. 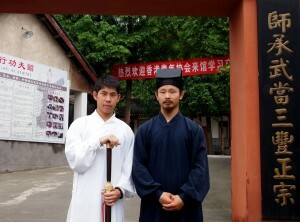 It was the first time for Alex to see the Wudang style in real life. ‘It looks so beautiful, swift as the wind and smooth as water.’ he said. 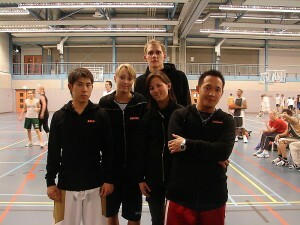 Soon Alex introduced Zhang Ran to the Wushu Team Utrecht. 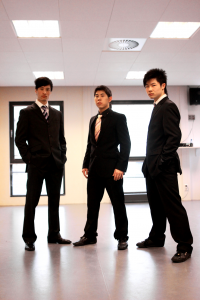 Subsequently, Alex and Koon were asked to promote Chinese Kungfu with the celebration of the Dutch Liberation Day in Wageningen. It was hot and tiring, but at the end they all enjoyed from this experience. 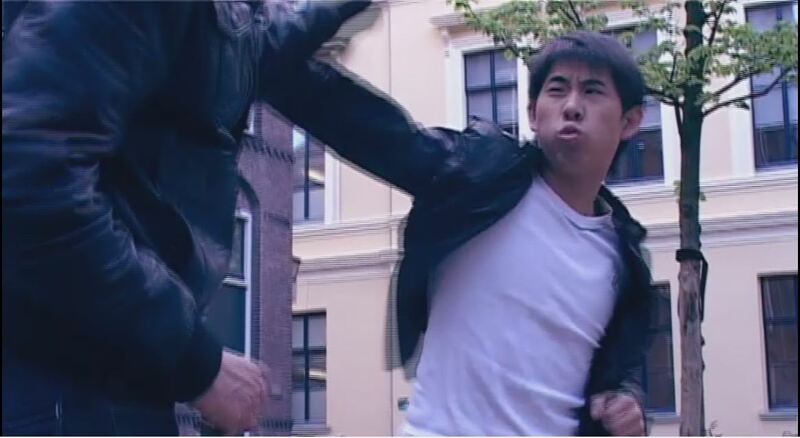 When the time has come for Zhang Ran to leave Holland, Alex suggested to shoot a short video promoting Wushu in ancient style. 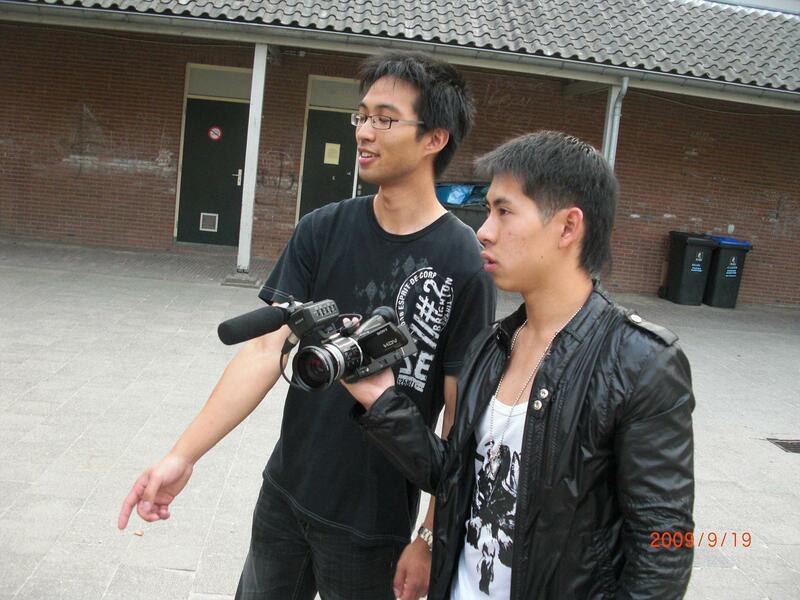 They went all the way to Wageningen in the snowy weather and freezing degrees, they made their first Kungfu video with his handycam. Because of the bad weather they couldn’t finish the shooting before daytime and they moved on to the apartment. There Alex came up with another idea, so after a short break and warm up they shot some video at the hallway of the apartment. Although the original footage has not been used, his cousin (Edwin Tang) still made an alternative story out of the recorded material. It was a lot of hard work both shooting and editing, but they enjoyed the good times too. In 2009, Alex started teaching Martial Arts, and in 2010 he opened his Martial Arts school. He has now taught more than 500 students. Most of them are Westerners and they call him Sifu (master) in Chinese. In 2017 Alex participated in the Cangzhou Qunying International Traditional Kung Fu competition and won the 1st place with the golden medal for category traditional handforms. Creating media content to stimulate and create opportunities for youngsters and connect the Asian community to express themselves in the media internationally. When he was a kid he often imitates martial art heroes and plays stories of the Chinese drama series which his parents hired at the Asian video shop. His favorite role plays were the skilled bodyguard Zhan Zhao, played by (Kenny Ho) from the ancient legal justice Bao series, Zhang Wuji (Steven Ma) from the wuxia novel by Jin Yong – The Heaven Sword and Dragon Sabre series, The Monkey King (Dicky Cheung) from the Journey to the west in the 90’s. These are all his beloved favorites. But he was also fond of cartoon heroes & characters, such as Captain planet, Power Rangers, Turtles and Batman. Apparently, Bruce Lee, Jackie Chan, Jet Li and Donnie Yen have all influenced him in a positive way. Alex’s quest for film making and acting started during his college years. He uses his imagination to fantasize his ideas and wrote scripts. He had plans to make films and even started to collect friends for the cast, as a teenager, he even tried to make contracts to assure his cast at that time. In 2003, he convinced his parents to buy him a tape recording handycam for travel purposes when they were in Hong Kong for holiday. He started to capture video in this way. Later, he started to tryout shooting some footage and screening for his film ideas. It is in the summer of 2009, that he came up with the idea of shooting a short film inspired by the Oscar winning film Infernal Affairs trilogy. As a student he started to produce his first project ‘UC1.2’ with this free time. Alex collected lot of friends and with the help of them, they started shooting this project of an estimated 30 minutes. He was so excited and surprised of the enthusiasm for film making and especially this project. He turned this energy into a community ‘aCreations’. Meanwhile, this project involved too many cast which makes it difficult to manage as most of them had no experience in film making at all. Somehow, they’ve managed to film 75% of the script. Then the film was postponed for 3 months due to bad weather circumstances and the availability of the cast. At the same time, we have made other projects produced by aCreations. So he had no regret at all, as it was a great experience and a meaningful learning progress which opened up a new world and above all, it was a fun time to remember. In the beginning of 2010, he received a message from a Dutch filmmaker for entering the CinemAsia Filmfestival. Alex had nothing to loose and saw this as a great opportunity to get more of the film industry. So he postponed project UC1.2 again and wrote several scripts. The best was chosen and a few weeks later, he got a call from Doris, and after an interview he got through the first round. He was so happy and a few days later, it has been announced that Alex Cheung won the entrees of the CinemAsia FilmLab shorts contest. So, in an intensive 3 weeks of time he made his first short film ‘A Single Step’. It did not went flawless, as he had to deal with numerous problems. His production team quit and now he had to rely on his own aCreations production team which was luckily close friends of him. With the time that’s left he just had one thing in mind, just do it. At the end he just couldn’t believe he did it. ‘It was like a journey through the jungle, so adventurous, so exciting, a whole new world. The process made me feel like living in another dimension. I have seen and learned so much in these weeks, it is just totally different than going to school and study’. The passion for film making finally find its way out. Thanks to Doris Yeung who made this event possible and everybody who participated in this shortfilm project ‘A Single Step’. It couldn’t be done on time without your support. Suhan Wong was a key player, his contribution is the major success of this project. We are ready for the next battle. China Festival was a breakthrough among their traditional performances, it is a performance above expectations, modern, yet entertaining. Our value was to add the Martial Arts culture of China with a theatrical act of slapstick comedy flavor to the show. Alex Cheung is the Founder of Wu Dao Kungfu. 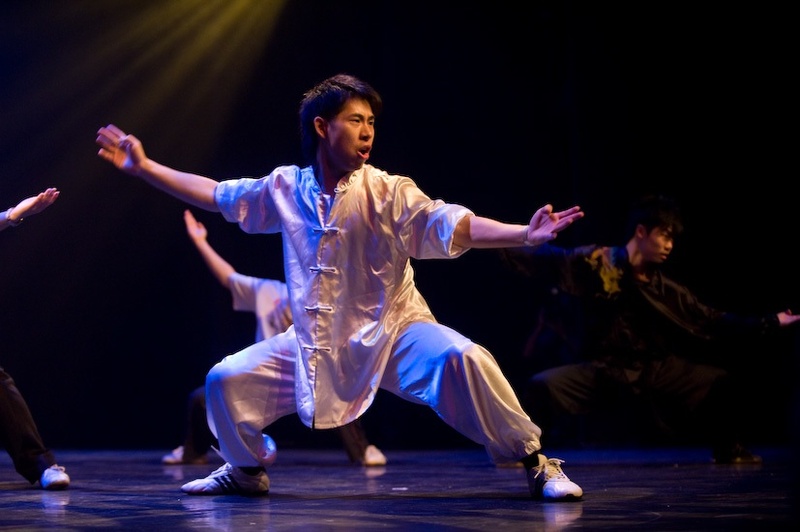 He promotes Chinese Martial Arts along with culture and philosophy by performances, lessons and workshops. Alex started teaching Wushu at the ACSU school and performed on regular basis. Now he is leading the ‘Wu Dao Dragons’. 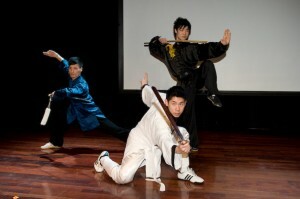 The Wu Dao Dragons （武道龙） is a team of truly martial artists, which are each unique with their own specialty and mastered a certain level of martial arts. Together they have an immense energy, spirit and charisma. Alex does the choreography and is the first to combine Wushu, Traditional Kungfu with ACTS crossing the boundary without limited by norms and values, traditional principles, he made the step to think out of the box, fully expressing his imagination of Martial Arts & Culture with his creativeness which makes his work spectacular unique and inspirational. In December 2010, he was invited to participate in a cultural family game show on television. He took a group of youngsters on stage along with his relatives. 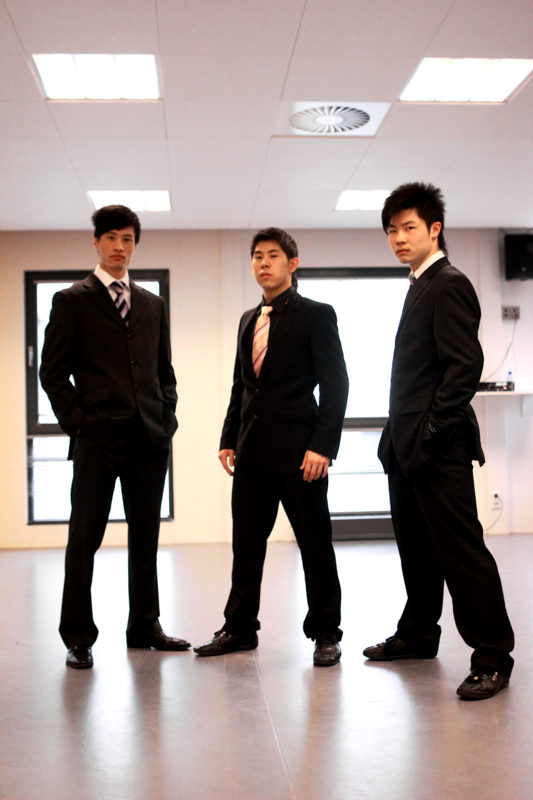 Led by writer Lulu Wang, they formed a great team to represent the Chinese team and won the quiz. Alex is the Dutch finalist of the television reality show – International Kung Fu Star 2011 which would be broadcasted on 3 September, 2011. It is a contest for the next Martial Arts talent in the entertainment industry as Hong Kong’s TVB is searching for the next Kung Fu star. Contestants come from all over the world and he is representing the Netherlands. After completing his university studies, Alex immediately returned to Hong Kong for the filming of a Kung Fu film production in China. He even sacrificed his own graduation ceremony in Holland. Alex Cheung is standing for Art & Culture, Philosophy & Martial Arts enrichment. In 2018 Alex Cheung traveled to the East for a spiritual retreat. While living in the tempel he had some wonderful experiences of conciousness and supernatural powers.